Andres A. Castillo has been serving the Altadena, Pasadena, Arcadia, Monrovia, San Marino, Sierra Madre, Temple City, and surrounding communities for 17 years. We specialize in Residential, Commercial, Plumbing and maintenance. Our goal is to provide you with courteous, expedient, professional service of the highest caliber. 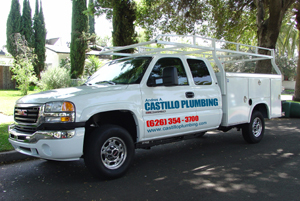 At Andres A. Castillo - Commercial and Residential Plumbing, the customer always comes first.